All of our High Lift Dumpers now come with green seat belt beacons. Lifting waste into skips or vehicles. Driving through low ceiling height areas with their foldable roll over frame. Partnering with a Mini Digger. 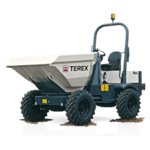 Terex make brand leading dumpers with excellent rugged 4x4 systems and loads of power for moving heavy loads. 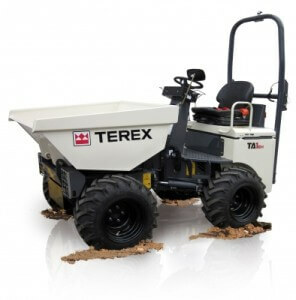 All our High Lift dumpers come with fold down roll bars to enable access to low ceiling environments and all are fully automatic with hydrostatic clutches. The Mini Digger is a perfect partner to the High Lift Dumper. Load the High Lift Dumper quicker and easier with a Kubota Mini Digger. 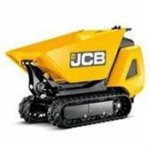 Micro Tracked Dumpers such as the JCB TD5 are an ideal partner machine for the Micro Diggers that we stock.